The South Station New Year's Eve Simul! New Year's Eve was special last year (which was, of course, only a couple of weeks ago). Twenty-four people had the privilege of ending out the year by being beaten by three-time United States Champion, and Boylston Chess Club member, Grandmaster Larry Christiansen. In a widely observed simultaneous exhibition held in the middle of Boston's South Station, Grandmaster Christiansen took on all comers in a series of battles that raged for almost two hours, all told. Larry estimates that he may have walked a little over a mile as he went round-and-round the inside of a large square set up just to one side of South Station's Christmas model train exhibit. As happened during the first Simul held in October, people ringed the backs of the players, actively interested in what was going on, and again whispering, "Who is the guy in the center? He's pretty good!" Flyers and brochures advertising the Boyslton Chess Club were available and picked up by interested onlookers which will hopefully translate into a few new, enthusiastic club members for us. South Station has already expressed interest in another event in the near future! In the meantime, remember you can still borrow sets from the Security Station near the bathrooms on the main level and play other people at the station, hopefully garnering more interest for chess and the Club. The New Year's Eve Simul was organized by Boylston CC Members Womans Candidate Master Natasha Christiansen, Nathan Smolensky and Doc Kinne. 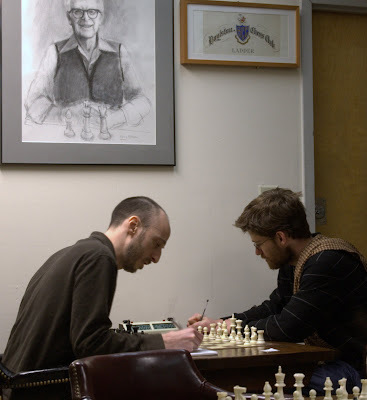 This last weekend on Sunday saw the Boylston Chess Club host the MA Go Association 2012 Winter Handicap Tournament. Despite the coldest temperatures we've seen this season, the event was attended by 33 people from all over New England and PA. Both MA Go Assoc. President David Kahn and MGA Tournament Coordinator Eva Casey expressed their gratitude at being able to use our Tournament Hall for the event. Your Club Clerk got a respectable even score (2 out of 4 points) in what was his first such tournament in three years. What's more, the Boylston Chess Club was mentioned in the tournament report article now on the main page of the American Go Association's website. Can't get more cross culturally diplomatic than that! Jason Rihel ... Well Done! There have been great BCF Presidents in the past. Paul McIntyre who engineered the Great Exodus from Boston to Somerville comes to mind. But the greatest leader the BCF has ever had, in my opinion, is/was Jason Rihel. he was incredibly pro active on many situations that never became issues. Jason had to navigate the club thru the cheating situation of 2011 as well. Also if you check the minutes of past year and a half you will find many unanimous votes, as Jason had a way of having things worked out in committee and ready for prime time by the time they came up for vote. Jason also invented the Grand Prix format which was the most successful tournament format introduced in a long time in both attendance and income for the club. Treasurer Dean Robert Oresick, and Dr Jason Rihel who have created an information pipeline to explain why the BCF is so important and special to Boston chess life. 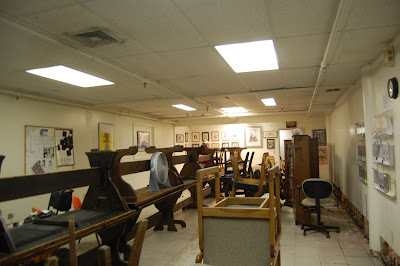 So effective that the BCF raised $8K + in donations in 2011. Donations are very important to the BCF as the BCF would be in the red without the great help from its members. But 8K means we have an opportunity do a couple of things to help entertain you chess players in addition to having heat and electricity. 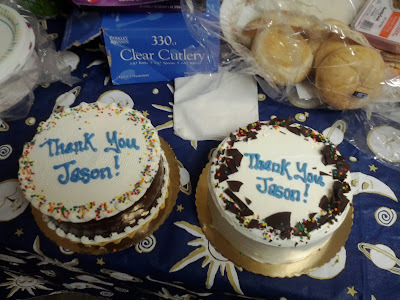 Do you have any good Jason stories or ideas as to how we might make the BCF more fun with trying more things in 2012? Monday Night Swiss Happening This Month! This month we are holding a Monday night Swiss in addition to a Thursday Night Swiss! The January Monday Night Swiss started last Monday, the 8th, and frankly the turnout was somewhat less than stellar. I blamed this on the fact that a Monday Night Swiss is unusual. While some folks have been trying to convince me that we have them regularly, my research shows that while we have a good many tournament rounds on Mondays, I don't think we have that many Monday Night Swisses. So the tournament was not on people's regular radars. BUT! We are having one this month and we could use a few more good players! Come support your Club, and perhaps see a few people you've not seen before on a different night than you're used to! The January Monday Night Swiss's 2nd Round starts at 7:00 (so get to the club by 6:45!!) on the 16th. One of the best things about the Boylston Chess Club web site is its very nicely maintained calendar. Using our calendar you can find out everything that's happening at the Club. Most longtime Club members will remember that, just down the hall from us, lived the MA Go Association, an organization very much like ours devoted to the ancient game of Go. What most of you don't know is that 3.5 years ago when I moved to MA it was a tossup whether I'd end up at the Go club or the Chess club. I tried both. Neither took at the time because I was in the midst of starting up a new job and a new career. However, this summer when the gaming bug bit me hard it was the Boylston Chess Club that I joined because the MA Go Association...had lost their room. This is a lesson to us all. While financially we are doing rather well, we only continue to do well with your support both in terms of membership, donations, and tournament activity. Your membership is critical and always very, very much appreciated. Your response to the donation letter written by Natasha can be of critical importance as well. Finally, participation in the Boylston Chess Club tournament schedule is not only fun, but a percentage of your entry fee critically supports the club in terms of rent, etc. The MA Go Association was not so lucky. However, they live on in diaspora! We had, and now we continue to have, a very good and friendly relationship with them that is mutually beneficial. I'd like to tell you about one of those relational benefits now. You'll find an unusual entry for this Sunday, 15 January on our calendar. 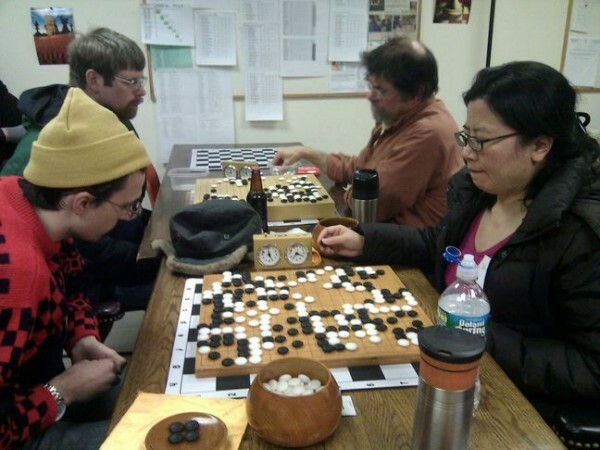 The MA Go Association will hold its Winter Quarterly Go Tournament at the Boylston Chess Club. 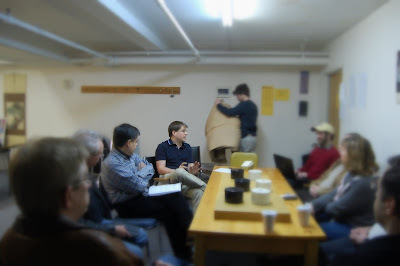 Not only is the Boylston Chess club gaining a rent income from this tournament, but now as a liason between both clubs (I am also now a member of the Go Club) I was able to negotiate a member's entry fee for the Go Tournament for Boylston Chess Club members. This means that if you are a BCC member and wish to play in the MA Go Assoc. Winter Quarterly Go Tournament this Sunday at the Club, you pay Go Club member prices! Details regarding the tournament can be found on their website here. If you have an interest, but not quite enough to compete, think about stopping by to see what's going on, or to cheer on your Club Clerk! :-) A lot of the procedures you'll find very familiar. The American Go Assoc. uses a Swiss System format for their tournaments as well. The boards and pieces, well, they'll be somewhat different! 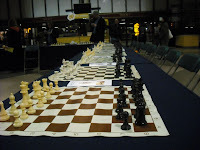 At 7:00PM on Wednesday, 11 January the Boylston Chess Club will have its next Board Meeting. Members in good standing are encouraged to come and observe, and this is a wonderful way of finding out exactly what is happening in the club and how things get done. This Wednesday's Board Meeting will be special because we will be transitioning the Presidency of the Club. Jason is finally leaving for a position in England within the month and will be resigning and transitioning as President this Wednesday. Wednesday's meeting will be about partitioning out Jason's jobs and responsibilities and discussing and potentially selecting a new Club President. The Club's Bylaws do not allow for an automatic ascension of the Vice President to the position of President, and so the Board anticipates some discussion as to who will inherit the office. We anticipate this will be an important and productive Board Meeting. Congrats to our winners; we hope you enjoy your prizes! Also, we'd like to announce that the 2012 Grand Prix Cycle is going to start at the end of January with a couple of changes. First, the two sections will be Open and Under 1600. Second, the Grand Prix will last for six months-- leaders at the end of six months will win free entry prizes (4 free entries for BCC members; 2 free entries for non-members). We will have another Grand Prix cycle start in July and last through the end of the year. We hope that the low entry fee and high quality of our Grand Prix event will continue to be part of your Bolyston Chess Club experience. This past year, we had 125 (!) different players participate in the Grand Prix cycle with an average of just under 30 players per tournament. 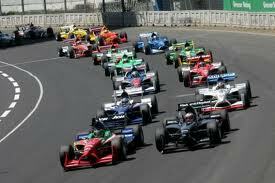 Not a Pontiac Grand Prix-- The Boylston Chess Club Grand Prix! American GM Hikaru Nakamura, with yet another impressive win today at Reggio Emilia, has jumped into the #5 spot in the world Live Ratings and has taken a commanding lead in the Supertournament. Although unofficial, he is the first American to reach the Top 5 since Gata Kamsky was ranked #4 in 1996. GM Nakamura had previously climbed as high as #6 in the World, but with his second strong performance in a row (see the London Classic, where he became the first American to win over a reigning World Champion in a long time), he now seems poised to make the still difficult charge at the rarefied 2800 club. The Herb Healy New Years Day Tournament was a resounding success, the details of which will appear later. However, it was important to let you folks know that the rating of the Herb Healy may well be delayed until Tuesday afternoon. Why? 1 January was a changeover date for a lot of things, some of which happened within the USCF. Rules changes, such as new rules on time limits and delays were put into effect. New memberships were put into effect. But more to the point of this posting, a new tournament web submission system was put into effect. As with anything like this the USCF is proceeding cautiously. With a little bit of extra effort, Bernardo and I were able to successfully submit the Herb Healy tournament to the USCF Offices. However, they have, for New Years, apparently turned off the submission processing queue, probably intending to hand hold it for the 1 January tournaments when people get back to the office. So, the Herb Healy tournament has been successfully verified and submitted, but please do not be surprised if its not actually processed and available to be looked at on the web until Tuesday afternoon. It may happen before that, but due to vacation schedules, it won't surprise me if it doesn't make it online until Tuesday afternoon or evening. Everything went well and has been done from our end. Now we wait on the USCF to complete its end of the deal. Thanks to everyone who participated today with the Herb Healy. It was a wonderful time!